A spring hawk count has been conducted at Braddock Bay since 1977. Currently the count is conducted by an experienced hawk counter from March through May. Daily counts (including hourly totals) are submitted to the Hawk Migration Association of North America (HMANA), an organization that maintains the data of watches throughout North America. Daily totals from the hawkwatch can be found by following the link to the right. To see how hawk watch data has been put to use for analyzing the status of raptor populations, visit the Raptor Population Index at http://rpi-project.org/. WHAT KINDS OF RAPTORS ARE SEEN? 15 species of raptors are regularly seen at Braddock Bay. 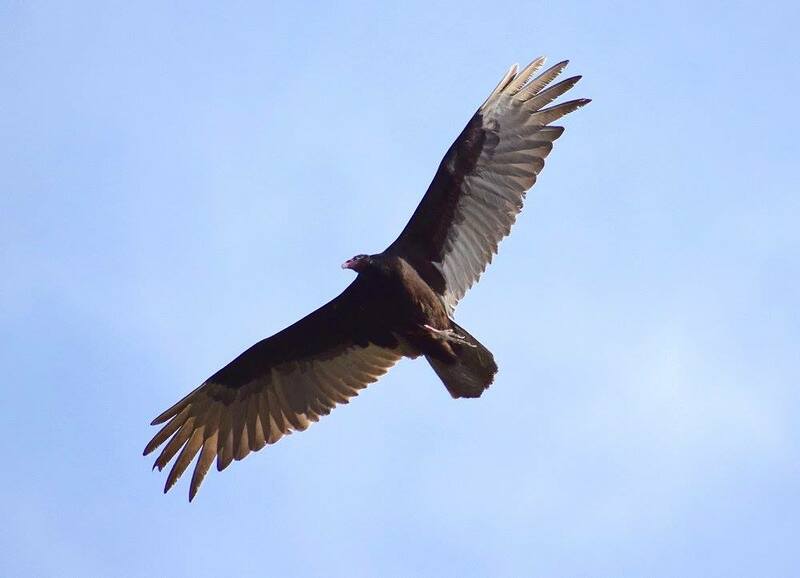 These include Turkey Vultures, Osprey, Bald Eagle, Northern Harrier, Sharp-shinned Hawk, Cooper’s Hawk, Northern Goshawk, Red-shouldered Hawk, Broad-winged Hawk, Red-tailed Hawk, Rough-legged Hawk, Golden Eagle, Peregrine Falcon, Merlin and American Kestrel. Rarer species such as Swainson’s Hawk, Mississippi Kite, and Black Vulture have all been seen at Braddock Bay. WHEN DO THESE HAWK FLIGHTS OCCUR? 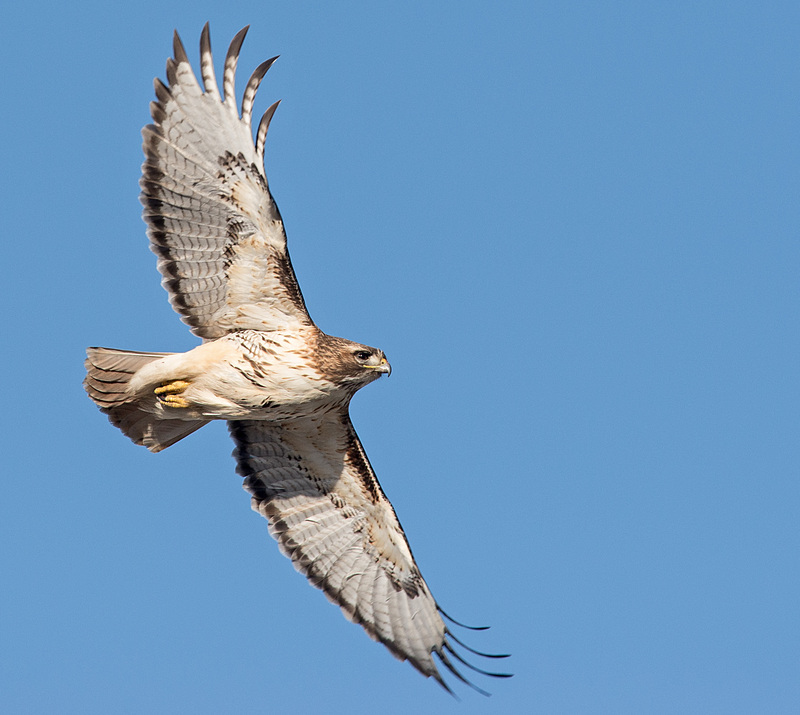 Truly spectacular hawk flights occur at Braddock Bay during the spring (March through May) when many hawks return to their breeding grounds in the boreal forests and tundra to the north. We also see a natal dispersal of mostly Red-tailed Hawks in late summer. 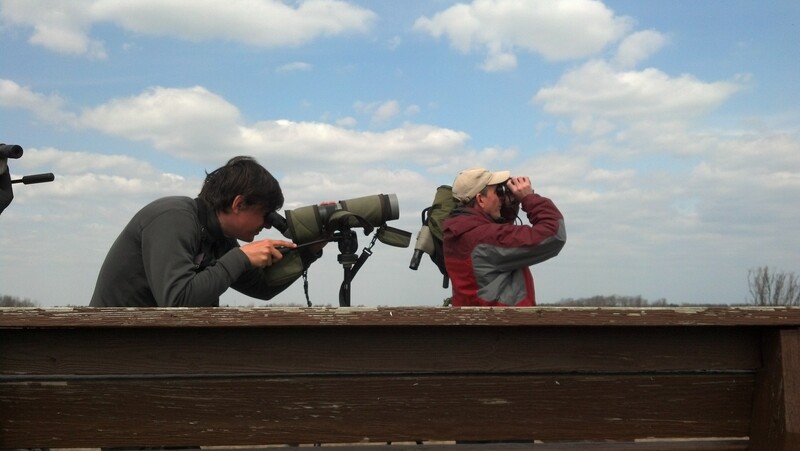 WHY DOES THIS CONCENTRATION OF MIGRATION OCCUR AT BRADDOCK BAY? Braddock Bay is at a point on the southern shore of Lake Ontario where the lakeshore abruptly turns southeast for 7.5 miles. This location concentrates raptors that are migrating east along the southern shore of Lake Ontario and who are attempting to go around the Great Lakes rather than pass over them. As these birds move east along the Lake Ontario shore, they suddenly find themselves with water not only to the north, but to their east as well. Their options are to fly over Lake Ontario, or to follow the shoreline to the east. The latter is the most efficient, so they tend to concentrate at a point 300 yards on shore and 2 miles after the shoreline takes the first turn south from the east. This is BBRR’s main hawkwatch site. DOES THE WEATHER AFFECT THE HAWK FLIGHT? Weather is the single most important determining factor for a hawk flight. Optimum conditions for flights at Braddock Bay occur when there are strong southerly winds, 10 miles per hour or more, accompanied by rising temperatures. These conditions occur when a low-pressure system approaches from the west and passes to the north of Lake Ontario, or when a warm air mass moves from the Gulf of Mexico. Smaller flights occur on days with conditions other than those stated above, but generally, when winds are from the north and northeast, poor flights are produced.